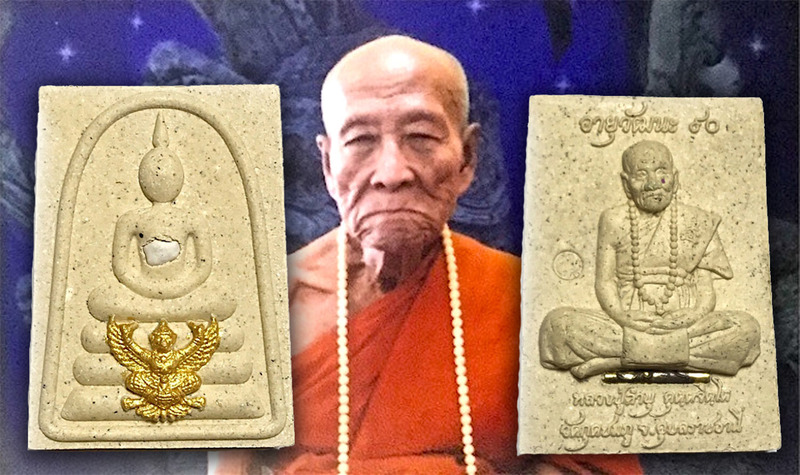 Pra Khun Phaen 15 Amulet Pim Yai Niyom Block 2 in Nuea Khaw Hniaw Sukh Pasom Pong Prai Kumarn with Takrut Maha Bpraab in rear face, and Certificate of Authenticity from the Samakom Luead Ban Kaay Amulet Association. 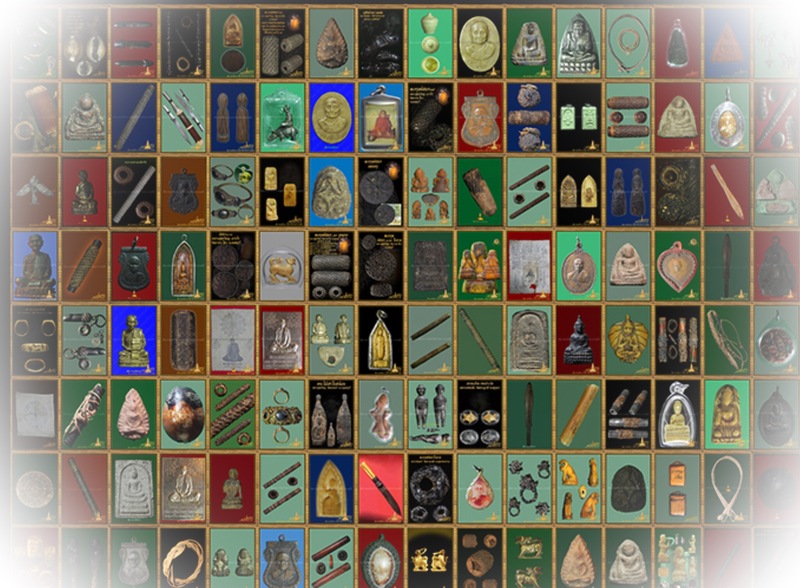 This amulet is a Pristinely kept exhibit of an all time Pra Niyom Master Class Amulet of the High End Category, the Pra Khun Phaen Pong Prai Kumarn Pim Yai amulet of Luang Phu Tim, of Wat Laharn Rai. 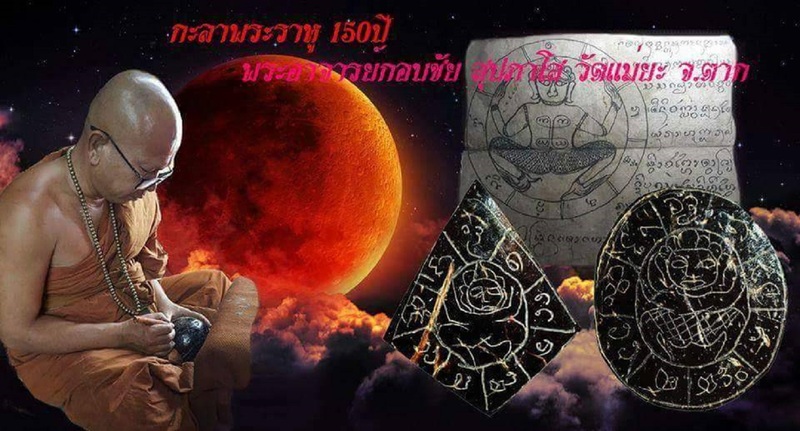 This model is a Pra Khun Phaen Pong Prai Kumarn 2515 BE – Pim Yai Niyom Nuea Khaw Hniaw Sukh Pasom Pong Prai Kumarn Ta Bronze Fang Takrut Maha Bpraab. This exhibit is in excellent condition and well kept, with highly refined details and features, worthy of show in competition.